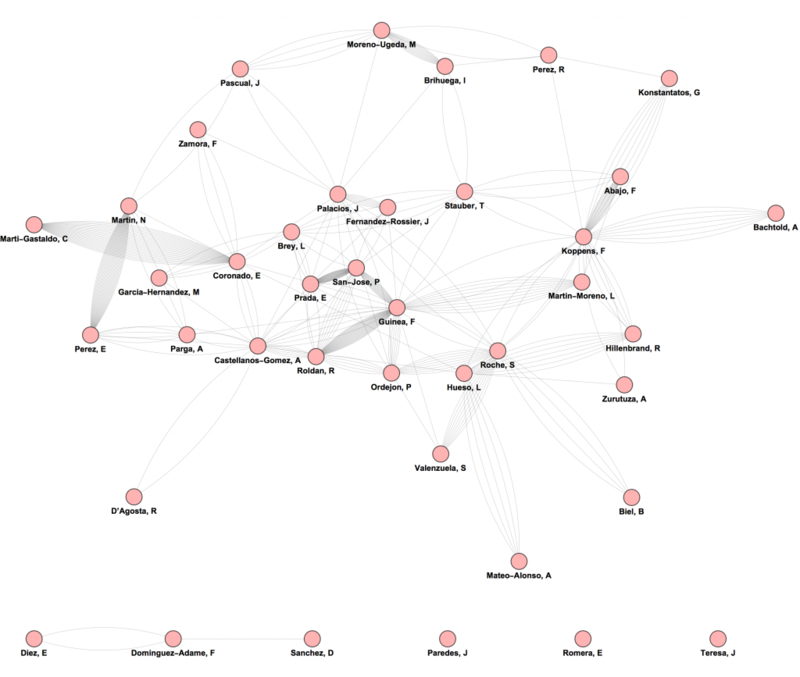 In the graph below, each line connecting two network members denotes a publication in the period 2012-2017 with both members as authors. 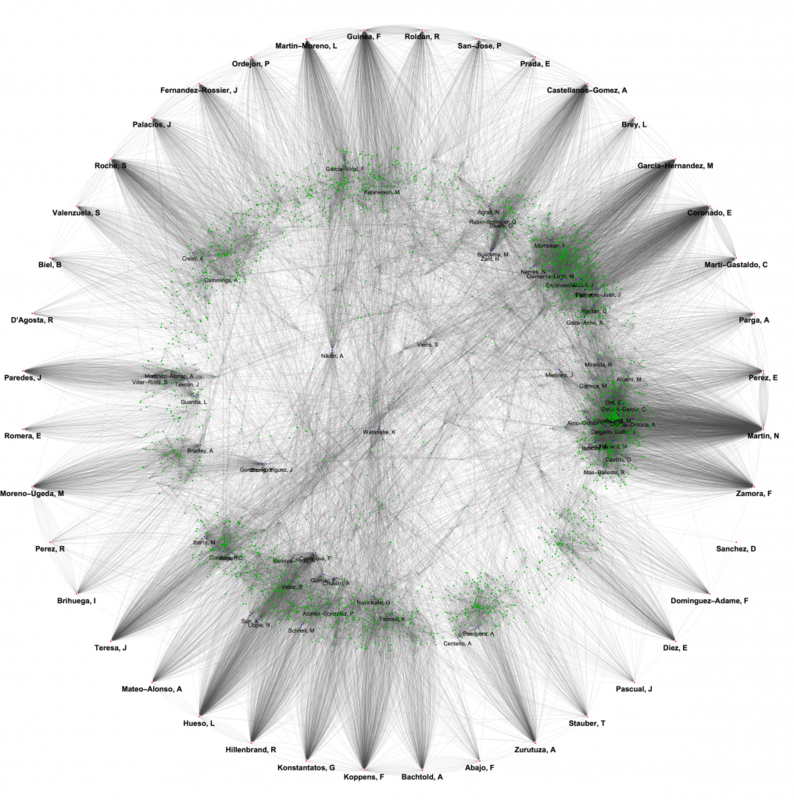 Spatial clustering of members is computed according to the frequency of their collaborations. Each line denotes a common publication linking two authors in the period 2012-2017, either within the sp2 network or between an sp2 member and an external author. Dark blue dots (labeled with name) denote external authors with more than 100 papers in collaboration with the sp2 network since 2012. The order around the outer circle is optimised according to intra-sp2 collaborations (relative distance encodes number of joint publications).